Local authority officials were under fire yesterday after backing controversial plans for an access road to a housing development. Developer Tulloch of Cummingston wants to use a route which passes quiet residential cul-de-sacs in the coastal town to reach its 278 home development in Lossiemouth’s Sunbank area. 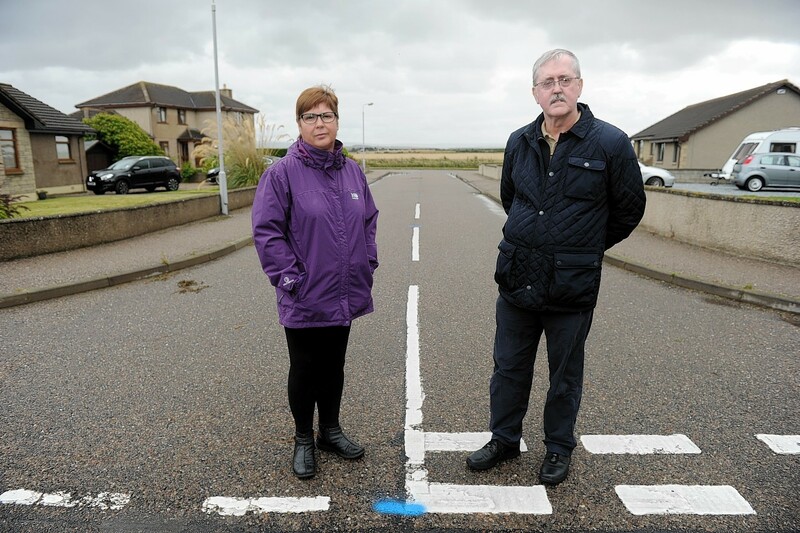 Protestors have fought the proposals since they were unveiled last year – but Moray Council’s roads and transport department has decided not to object to them, as long as traffic calming measures are introduced. The developer plans to use roads at Halliman Way and Fisher Place to reach the port’s Boyd Anderson Drive. The Stop the Boyd Anderson Drive (BAD) Access group has accused the local authority of ignoring resident’s views by not ordering the builder to revise its plans. Campaigner Robert Murdoch said: “We don’t really feel the council are being fair with us. “I understand the local authority’s desire to get more housing built as soon as they can, but by adopting this route they are impinging on the quality of life of the people who live in those cul-de-sacs. Last month, Stop the BAD Access group members urged Tulloch of Cummingston to revise its proposal and claimed the carriageway at Halliman Way, which the company hopes to incorporate into the route, was not wide enough to be used as an access as it measures only 16.6ft. The group said that, according to legislation, the road would need to be 18ft wide. But the findings were not addressed in the report by council officials. A Moray Council spokesman said: “The plan has been examined by officers, and it’s expected that developers will explore further options at the planning stage. regarding traffic calming measures as they are not part of the site.